Warm Weather and Whales: Hospitality Oregon Style — . Unlike Southern California, there aren’t many days at the central Oregon coast where people consider wearing anything but jeans and sweaters. It’s not that fashion dictates it, weather does. Yet, today was one of those wonderful days when we could wear shorts and T-shirts without shivering. In fact, it was actually hot. That word isn’t uttered often in Oregon, especially at the beach. One of the local banks even offered ice-cold lemonade to their customers because they considered it a heat wave at 75 degrees. Another thing that was unusual about the day was that there was little wind. We relished the opportunity to sit out on the deck while looking at the ocean that was almost as smooth as a lake. All of a sudden, a white puff appeared above the sapphire water. Then another. And another. 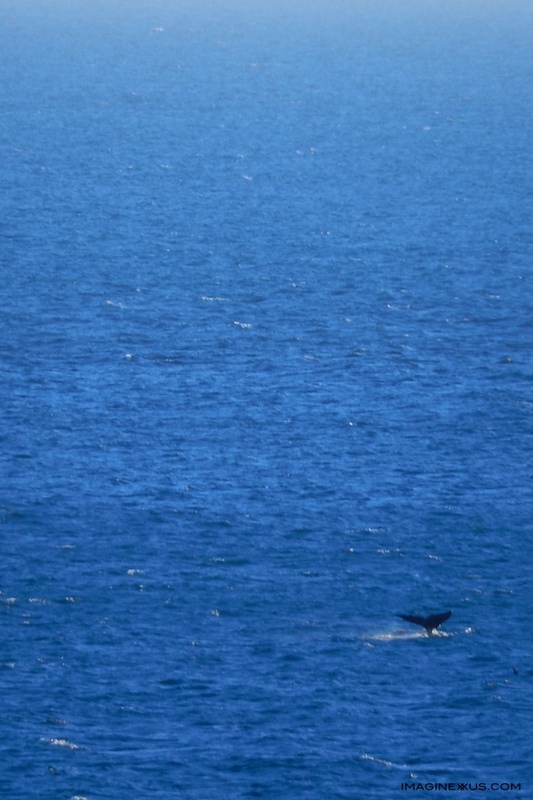 The resident pod of whales that lives close to Otter Rock had decided to put on a show for us while we ate dinner. One of them even decided to wave hello to us. Life’s simple pleasures. Truly delightful. If you enjoyed this story in our series, you may also enjoy two other stories about the Newport area’s beach and sea lions. We also encourage you to check out any of our books.